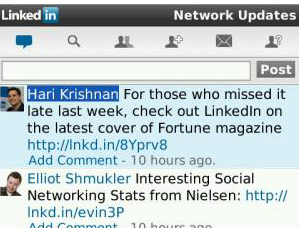 Last week I wrote an article about Qik rolling out a beta app for BlackBerry users running OS 5.0. Well, last night I received an email from Qik Product Marketing Manager, Jiuyu Zhou, with instructions for downloading the Qik beta app as well as a request to test the BlackBerry Tour’s network. After waiting nearly 8 months I was psyched to finally get my hands on the app and start messing around with it. However, I decided to take a couple minutes first to test the Tour’s network since the results will help the Qik mobile development team find a fix to the streaming live video issue on CDMA devices. 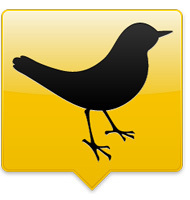 Nonetheless, once the network test was complete I went ahead and downloaded Qik beta version 0.1.17.2 OTA. The installation was smooth and there was no need to reboot the OS to get started, therefore I launched the app, entered my login credentials, and connected successfully to Qik. I’ve been playing with the app for a while and with the exception of streaming live video, everything is working fine and the video upload feature is flawless. As I mentioned in my previous article, streaming live video was a known issue for CDMA devices so I did not expect this feature to be available in this beta version. 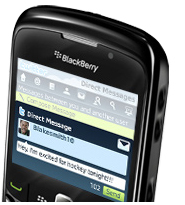 However, BlackBerry users running OS 5.0 on a GSM device have the ability to stream live video from their BlackBerry to their Qik page as well as the ability to upload recorded videos that already exist on their device. Recently Foursquare pushed out app updates to both iPhone and Android users just in time for SXSW so it was only a matter of time before BlackBerry users got their hands on an update. 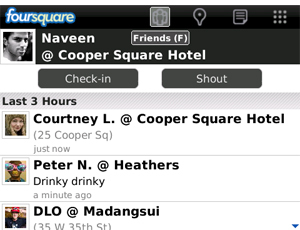 Well, as expected, Foursquare pushed out a new update to BlackBerry users this morning. If you are running the Foursquare app and don’t already have the v1.7 update, simply launch your Foursquare app and it should automatically update to the newest version. 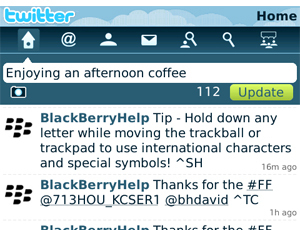 You can also download the app from the BlackBerry App World store or visit the Foursquare Web site to download. There is not a whole lot going on under the hood in this update other than changes to the UI. 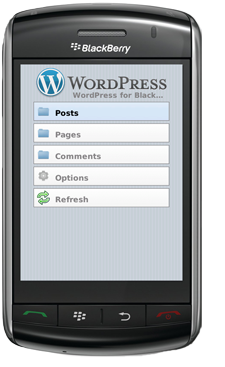 After firing up the app you will notice four icons in the top navigation menu: Friends (F), Places (P), Tips, and More. While some of these icons might look familiar to you from the previous version, the “Tips” icon is a new addition to the navigation menu. Let’s take a quick look at the new navigation menu and what changes took place. Foursquare, the location-based social networking service, rolled out their BlackBerry beta app on Christmas Eve and I was thrilled to receive one of the invites. The company sent out an email to about one thousand people who made the VIP list of beta testers so they could download the app to their BlackBerry and take it for a test drive. 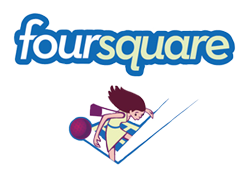 Unlike iPhone and Android users, who were already familiar with a Foursquare app, BlackBerry users were forced to visit the Foursquare mobile site (m.foursquare.com) to “Check-in” to venues so I was stoked when Foursquare released the BlackBerry app. I was ready to download the app, fire it up, and give it a go.